This tasty dish gets kids digging into their veggies without a second thought. 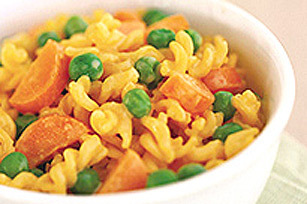 Cook Macaroni as directed on pkg., adding vegetables to the cooking water for the last 3 min. of the macaroni cooking time. Drain, reserving macaroni mixture in saucepan. Add Cheese Sauce Mix, milk and butter; stir until well blended.